Is your MacBook charger genuine and why does it matter? At Truro Computer Services we have seen an increase in the number of fake MacBook chargers coming through supply, even through trusted distribution channels. They are generally near perfect replicas so how do you tell if they are genuine and why does it really matter? Here we will give you three quick and easy checks that can help identify a fake MacBook charger. First off, why does it matter? If your charger has a fake manufactures logo then it is 100% fake and that includes the CE mark. 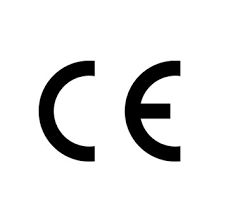 If the CE mark is fake then the charger has not been made to conform to, or indeed been tested to European safety standards. If you are lucky this could just mean you damage your Mac, if you are unlucky substandard wiring and components can lead to fire. Our advice for Apple chargers is the same as all laptop manufactures, you are always better off buying genuine but if you don’t always buy a decent branded aftermarket charger from an established manufacturer such as Delta Electronics (who actually make Apples chargers), Hipro, Lavolta, etc., although they may not ‘look’ the part they have been produced to the correct European standards and are safe. Never buy ‘Genuine’ chargers from eBay, Amazon, etc, that are suspiciously cheap or even just good value as they are almost always fake. 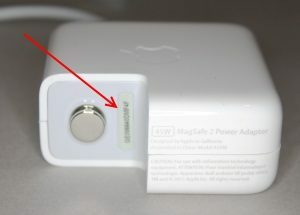 3 Tips on Spotting a fake MagSafe charger. 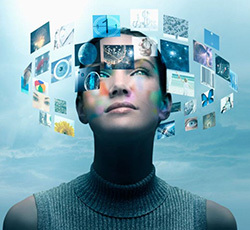 Tip 1 – Check the serial number. If you still have the box check the serial number on the charger with the box it came in, often the fakes don’t match, genuine chargers will always match. The Serial number on the charger is under the plug socket connector. Tip 2 – Is the charger earthed? 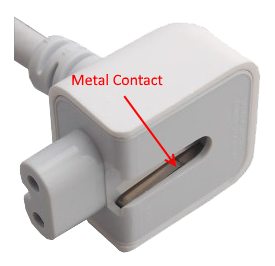 Genuine MagSafe chargers are earthed, fakes are often not. The slot where the plug slides onto the charger should have a metal contact that earths the charger, if it isn’t there it’s probably fake. Tip 3 – How long does it take the charge light to come on? 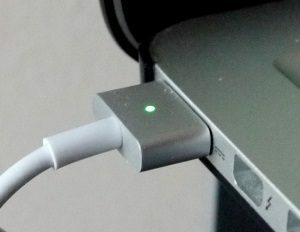 With the MagSafe plugged in connect it to the Mac, it should take a second or two for the light on the MagSafe to come on, if it comes on immediately it’s probably a fake.